One of the most popular luxury compact SUV's on the road today is the Volvo XC60. And while its design and performance features are incredibly impressive on their own, we here at Friendship Volvo of Bristol in Bristol, TN would like to take some time to discuss its various safety features. Use the technology that your car features when you go on a road trip. Most cars have navigational maps with gas stations, restaurants, and road detours. Since many navigation systems are vocal, you can listen to the details instead of reading information on the screen or on your phone. 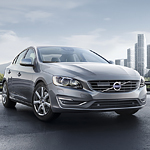 The Volvo S60 is packed with interior features that will satisfy any driver. From a Volvo On Call application that allows you to control various functions in your car through your smartphone to a projection of vehicle data on your windshield, this is a vehicle you'll want to take a look at if you are in the market for something new. 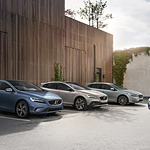 If you are thinking about your next Volvo purchase, you would be well-served to take a look at the highly popular Volvo Certified Pre-Owned program. This is a great way to avoid the financial sting of a new car purchase without all of the risk of a traditional used car. In the 21st century, drivers want only the best technology features in their cars. You may recognize the versatile Volvo XC60 as a popular luxury compact SUV, but what do you know about the audio and technology features of this vehicle? Are you a fan of Apple CarPlay or Bluetooth technology? The XC60 has both of these features. It also includes a high-performance audio system. This means that your music will sound great and crystal clear every time. And in the new version of the XC60, you will be able to sync your smartphone with the technology system. If you're looking for a smooth ride along with a lively engine, the Volvo S90 won't disappoint. This luxury sedan is one of the most popular cars at our dealership, thanks to its outstanding performance features. With a choice of three different engines, you'll have the power needed for all of your daily needs. Volvo made a bold announcement stating that 2019 will see the beginning of the end of new gas-only Volvo models. The reason? To make way for the future of electric cars. Volvo plans to do away with new gas-only vehicles and instead focus its attention solely on hybrids and fully-electric cars. All new Volvo models will have an electric motor starting in 2019. With these huge changes just around the corner, what else is Volvo planning? There are a number of reasons why your vehicle might break down and it's very rarely something that you see coming. Sometimes it's a minor fix that you can take care of yourself, but you could also run into something that forces you to wait around for help to arrive. Either way, you can't do much without a roadside emergency kit. The arrival of the 2017 Volvo V90 Cross Country coincides with the anniversary of the Cross Country name, and its all-wheel drive system. After reading some of the reviews for this lifted wagon, we couldn’t help but wonder if that was intentional. The V90 Cross Country more than lives up to its name, with 8.3 inches of ground clearance, intelligent AWD, and a plush interior. Every year, AutoCar recognizes the best in the automotive industry at their annual awards. This year, the title for “Design Hero” went to none other than Volvo’s Thomas Ingenlath, the brand’s Senior Vice President of Design. As the man responsible for the stylish looks of recent models ranging from the S90 to the XC60, we think it’s quite deserved.